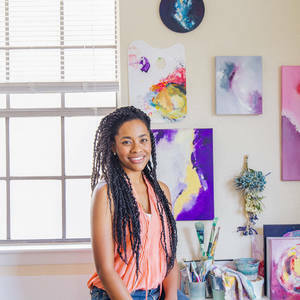 Arielle Austin is a Austin, Texas based artist. After graduating from Cal State Northridge in 2013 with a B.A. in Graphic Design she followed her true passion to paint. She's inspired by every aspect of life and revels in "happy accidents" and "unintentional intentions". She creates to resonate and to leave you a bit different than when she first found you.